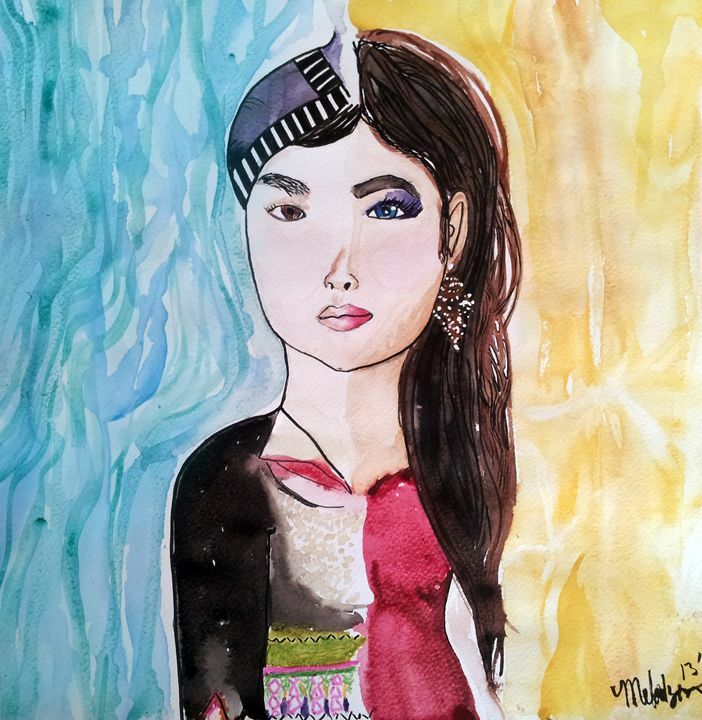 The vivid imagery in this work, created with watercolor, depicts a young Hmong woman dressed partially on one side in traditional "white" regalia, and on the other a party dress ready for the nightlife. Within the Hmong culture, many young Hmong women find themselves torn between two worlds. One encompasses the traditional mores of Hmong cultural life and the other employs the fast changing present-day American culture. The aspects of these cultures are vastly different, yet the complexities, challenges and wealth of both manifest themselves in the life of one individual. This work is an tribute to the Hmong modern woman: Do not forget the past. Embrace the future. You dwell in two different worlds, but you master them well.